Ulysses Black with Annie Brooks and Jack Stigner continue to run extremely successful workshops for classes of all sizes in the making and manipulation of puppets. 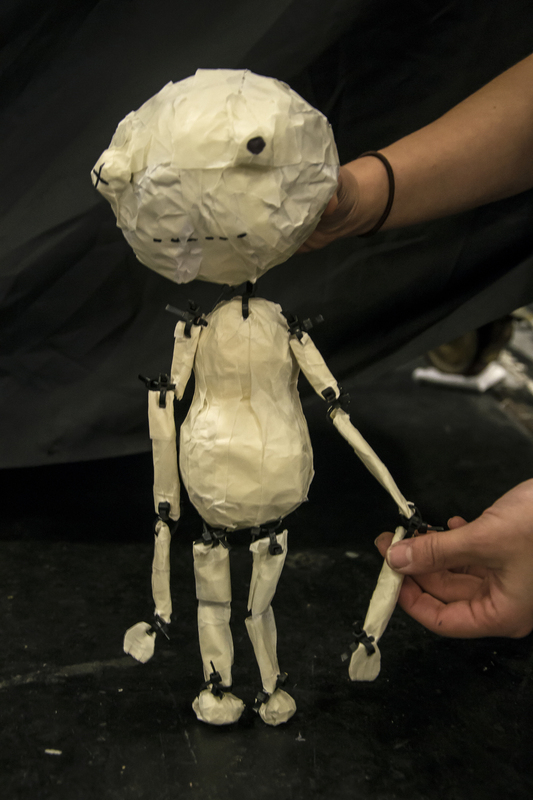 Over the years we have developed a series of extremely effective workshops, that follow a process led method from single sheet of paper, culminating in fully articulated three-operator bunraku style newspaper puppets. Within the workshops we explore focus and attention, gravity and weight, gesture and articulation, nuance and above all breath. Through a cycle of steps and the building of a conceptual scaffolding within the workshop we have successfully enabled even the most shy, disengaged or disruptive students to allow themselves to increasingly immerse themselves within the process. It is deeply rewarding to witness the turn around in mentality as the students begin to see their efforts pay off, and begin to see how the elements being explored through puppetry transfer into their own disciplines, whether they be extrovert performers, or super shy literature students. 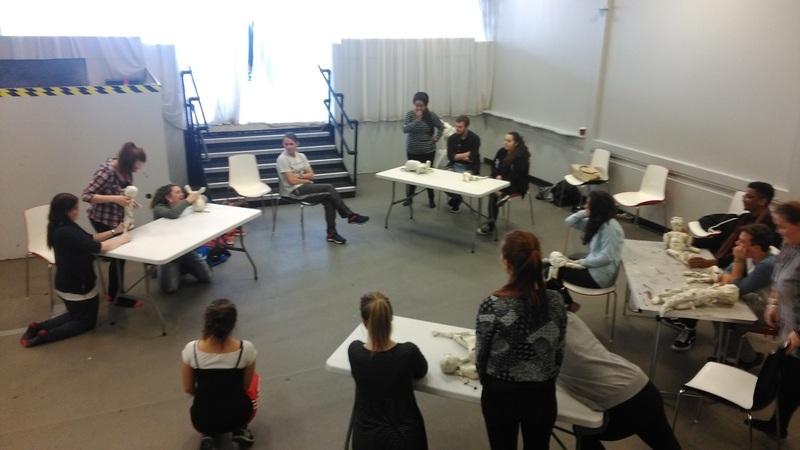 If your institution or company is interested in finding out more about puppetry workshops suited to all types of performance student, or film / literature students working with narrative, please contact Ulysses Black.